There are a variety of infections, viruses and diseases caused by different insects. •	Mosquitoes are able to carry Malaria, Dengue, Zika, Japanese Encephalitis and Yellow fever. •	Flies can contaminate food and drinks that when taken by humans may cause Cholera, Typhoid Fever, Gastroenteritis and E.coli. •	Bed bugs can transmit Chagas disease. •	Lies and fleas transmit bacterial infections such as bartonellosis, borrelliosis and even typhus. •	Ticks are parasites that are able to transmit diseases by feeding on your blood. 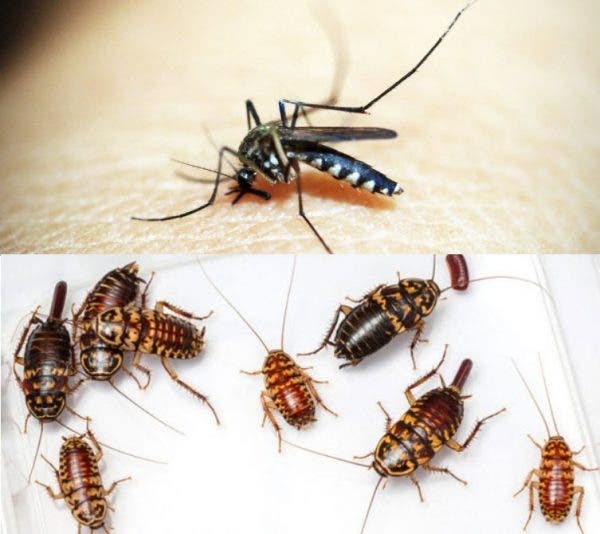 These different insects may cause major medical and health threats especially if the diseases are not given appropriate care and notice immediately. To avoid all these, we have to make sure we get rid of insects before they cause any harm to us and our families. That is why it is important to make sure that we are protected from different insects. We need to take the necessary measures in order to keep away from diseases that insects can bring. With the use of insect repellents and killer sprays, we’re a step closer to a healthier and cleaner environment. Strike Multi-Insect Killer Spray has the following characteristics which I’m sure would be great for every household. It is a safe and effective water-based insecticide that uses deionized water as solvent which disperses easily without leaving stains on any surface where it has been used. 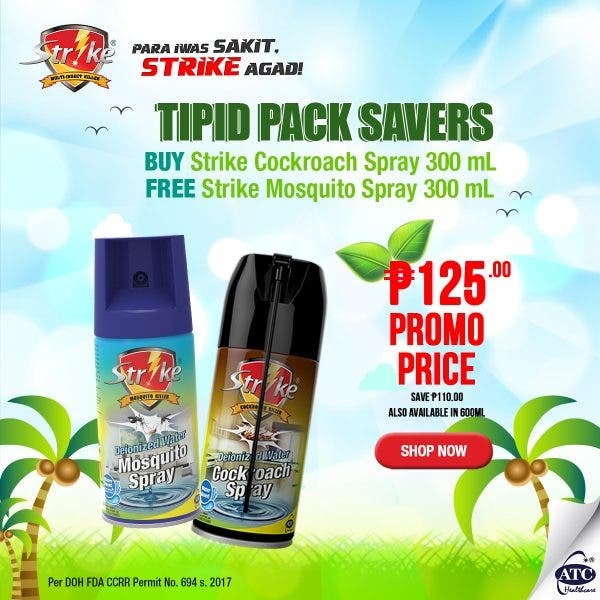 Unlike other brands that are oil-based and alcohol-based which leave stains, cause harm to human, plants and animals and has very poor killing effect on insects, Strike has triple fast killing action formula made proven by a clinical study that takes effect within 10 minutes killing 50 mosquitoes compared to other leading brands. Aside from that, it has a refreshing orange scent, has very low toxicity, and is definitely eco-friendly which means it does not contain a harmful substance called CFC or Chlorofluorocarbon that is harmful and hazardous to human health, pets, plants and the environment. More importantly its quality can level with other international brands as it was developed in an impeccable technology, but amidst all these, it is affordable and budget friendly compared to other brands. Get yours now at Mercury Drug! 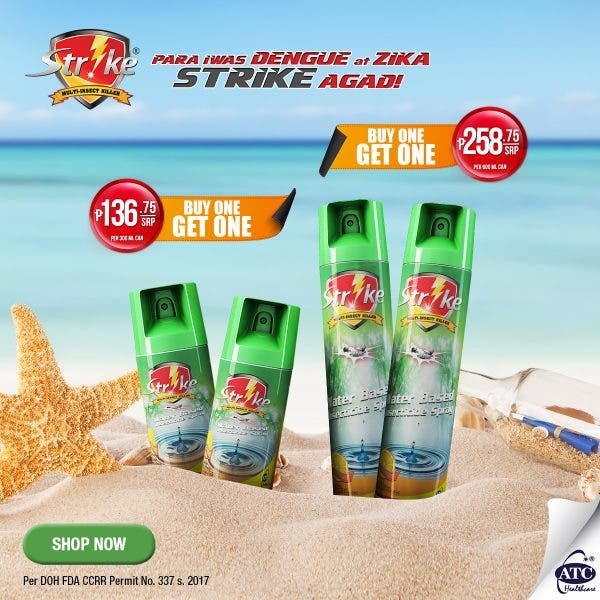 Strike Multi-Insect Killer Spray is currently on a Buy 1 Get 1 Promo. Get yours until supplies lasts!